In terms of parenting tips, this is the must have; save your marriage and/or your sanity! Interviewing nannies and babysitters can be a very stressful process, especially if it’s your first time. But knowing how to undertake an interview what questions to ask can really help you sort through applicants to find the right match for your family. After you have a number of applicants that seem suitable for the role, the next step is to call them and conduct phone interviews. By conducting short phone interviews first, you can save a lot of time and effort by avoiding numerous face-to-face interviews. By phone, you’ll be able to get an idea of candidates’ personalities, whether they are genuinely interested in the role, and their requirements. Could you tell me a little about yourself, your situation and why you applied for the role? Do you live in the area and how would you travel? What’s your history of working with children (of the same age)? Do you have any specific training in childhood development? Do you have CPR and first-aid training? Do you have a police check? When would you be able to start? We need someone to start [at this date], can you start then? What’s your hourly rate? We are in a position to pay [this amount], is this roughly what you’re looking for? Are there limitations for when you would be available? Do you have children that you need to care for? Would it be possible to get a couple of relevant references from you now? After you have asked these questions and found and organised face-to-face interviews for suitable candidates, ensure that you review exactly what you want from a carer, particularly regarding things like their personality, experience and availability. Can you tell me a bit about your last Nanning experience; the children, the challenges, and why you left? Why did you become a nanny/babysitter? What are your thoughts on child-rearing and taming toddler tantrums? What would you do if my child was sick? What are your thoughts on disciplining children? Is your availability flexibility in case a situation arises in which I’m stuck somewhere and need you to stay a bit longer? Once you have completed all of the face-to-face interviews, it’s time for you to review and select a couple of the best candidates you thought were most suitable. These questions should hopefully have helped this process become easier. Calling back those best candidates and organising a date for them to come over and spend some time with you and your child will allow you to see how they are around your little one and if they feel comfortable and safe as well. Once you have completed this process, it should become clear to see who you would be comfortable leaving your child with and who you should hire. 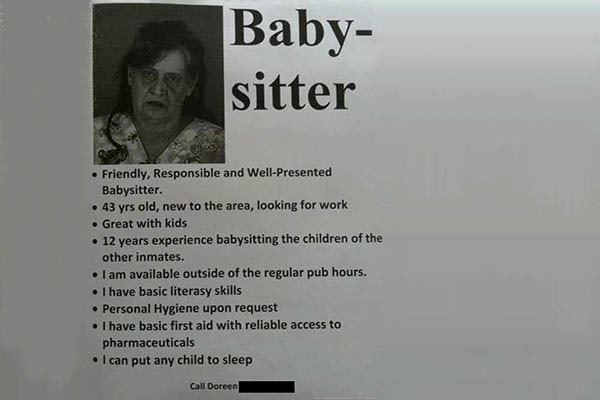 This article was supplied by the team at Babysitter Search, a website that provides childcare solutions.BabysitterSearch.com.au is a community of nannies, babysitters and nanny agencies, all driven by the same goal – to give parents easy access to child care they can rely on. For babysitters looking for their next job, to parents searching for the perfect babysitter in their area, or a nanny agency wanting to attract the cream of the crop – BabysitterSearch has all the tools they need.BabysitterSearch also hosts a parenting blog with tips to help visitors travel seamlessly through the journey of parenthood. Parents can also search our comprehensive Nanny Agency Directory for a Nanny Agency in their area. For more information and to speak to a member of our team, please email us. This article was supplied by the team at Babysitter Search, a website that provides childcare solutions. BabysitterSearch.com.au is a community of nannies, babysitters and nanny agencies, all driven by the same goal – to give parents easy access to child care they can rely on. For babysitters looking for their next job, to parents searching for the perfect babysitter in their area, or a nanny agency wanting to attract the cream of the crop – BabysitterSearch has all the tools they need. BabysitterSearch also hosts a parenting blog with tips to help visitors travel seamlessly through the journey of parenthood. Parents can also search our comprehensive Nanny Agency Directory for a Nanny Agency in their area. For more information and to speak to a member of our team, please email us. to keep a reader amused. Between your wit and your videos, I was almost moved to start my own blog (well, almost. beneficial to write it for Web optimization or for your readers? This is one thing I’ve been battling with because I want great search rankings but at the same time I want the best quality for my visitors. Thanks for the comment. I don’t think it really relates to the article, so I won’t publish it at this stage, however I will publish anything you have relating to the topic. Feel free to submit. work and reporting! Keep up the amazing works guys I’ve included you guys to our blogroll.